Lay3rs has teamed up with VanderKampen solid modeling and expanded its capacity and expertise with a full range of measuring tools. The results of the measurements can be used for quality control, rapid prototyping and reverse engineering. 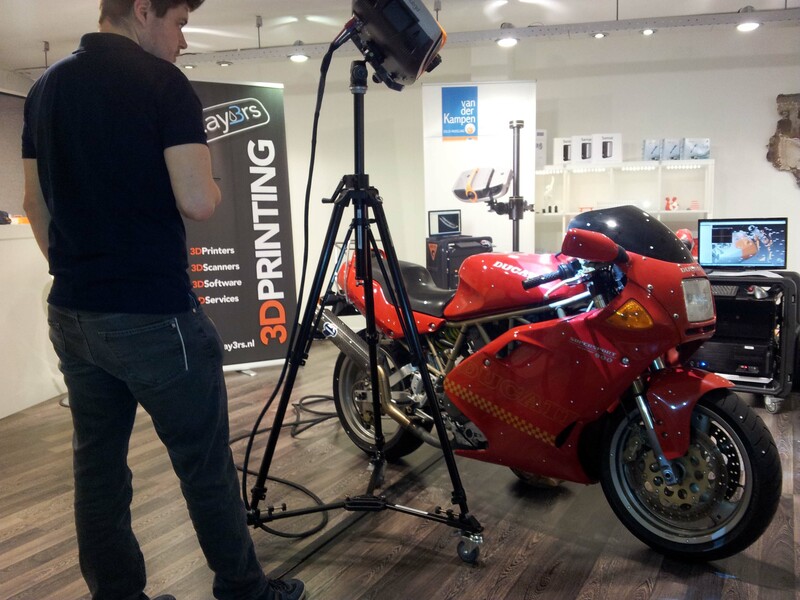 To perform 3D measurements we have a measuring arm and a scanner including a photogrammetry system. Both the measurement arm and scanner are easy to transport and suitable for measurements on any location, even in production environments. Depending on the size (up to 20 meters is possible) are from 0.01 mm accuracy achievable. Both systems have their specific properties, but by the software (PolyWorks) we can combine the benefits. 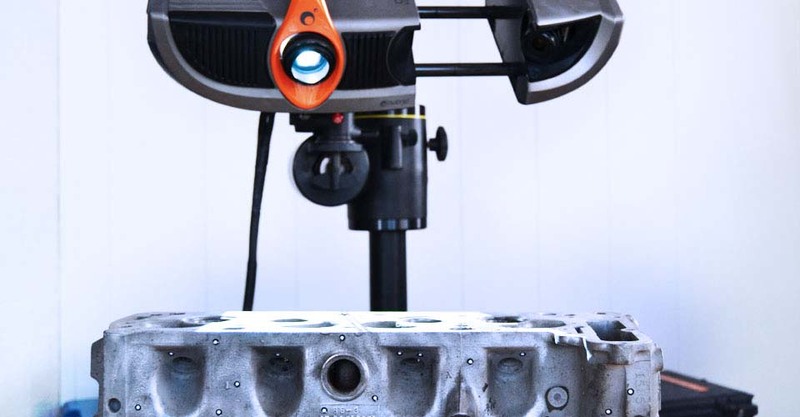 The Artec Eva scanner can be used for a wide range of applications. It is the ideal choice for people who want to quickly create an accurate scan accompanied by the required color information. This scanner needs no markers and does not need to be calibrated in advance. It is handy to use, and works under almost any circumstance by the automatic flash light which operates synchronously with the recording. This allows the image to always be of good quality. The flash-light function can also be turned off. 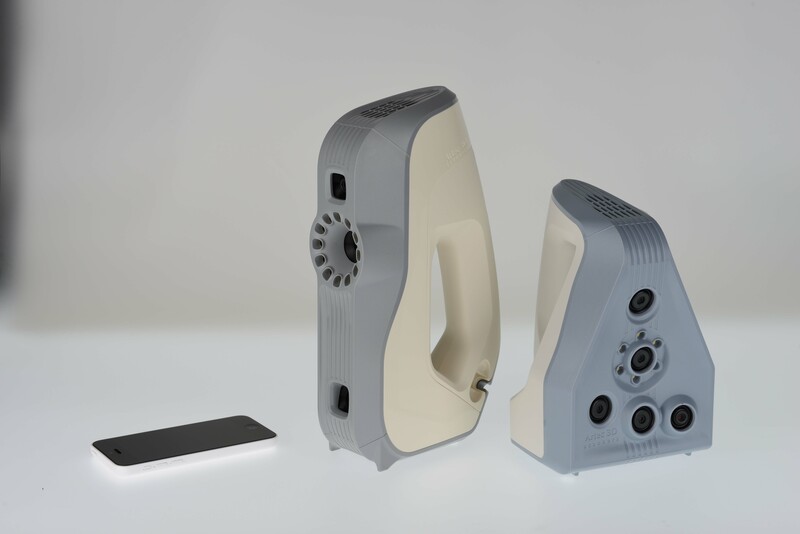 The scanner works as a video camera that captures the environment in 3D. It does this in a rate of 16 frames per second. These recordings are aligned automatically in real time, making scanning easy and done quickly. This is particularly applicable for medical applications, special effects and animation. Click here for an impression of what Artec Eva can do. Lay3rs works together with Miniyours, which is an authorized and certified reseller of Artec Eva Scanner. Miniyours provides with each purchase an instructional training for proper use. The delivery time is approximately of 2 weeks.